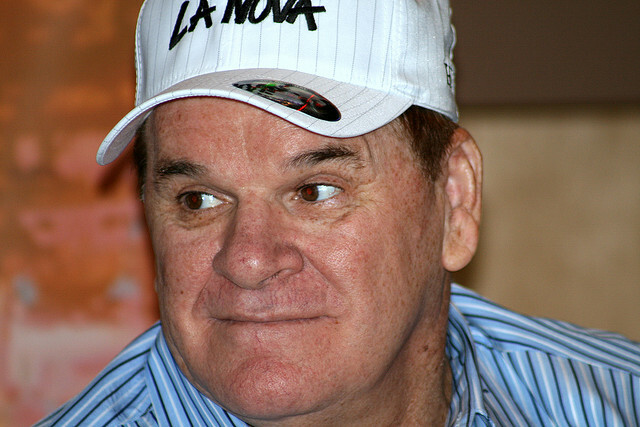 Baseball Commissioner Rob Manfred released his decision regarding Pete Rose today. It is well worth a read. In an age of snap judgement, it's reassuring to read a considered, nuanced, and nevertheless decisive decision that is built upon sound reasoning and evidence. "...I note that the Bertolini Notebook shows that, contrary to his assertions, Mr. Rose did not wager on every Reds game. Thus, Mr. Rose's wagering pattern may have created the appearance to those who were aware of his activity that he selected only those games that he believed the Reds would win." "While Mr. Rose claims that he only bet on baseball in 1987, the Dowd Report concluded that he also bet on Baseball in 1985 and 1986." "Even more troubling, in our interview, Rose initially denied betting on Baseball currently and only later in the interview did he "clarify" his response to admit such betting." "Mr. Rose's public and private comments...provide me with little confidence that he has a mature understanding of his wrongful conduct, that he has accepted full responsibility for it, or that he understands the damage he has caused. As I understand it, Mr. Rose has never seriously sought treatment for either of the two medical conditions described so prominently in his 2004 book and in Dr. Fong's report." "In short, Mr. Rose has not presented credible evidence of a reconfigured life either by an honest acceptance by him of his wrongdoing, so clearly established by the Dowd Report, or by a rigorous self-aware and sustained program of avoidance by him of all the circumstances that led to his permanent ineligibility in 1989. Absent such credible evidence, allowing him to work in the game presents an unacceptable risk of future violation by him of Rule 21, and thus to the integrity of our sport. I, therefore, must reject Mr. Rose's application for reinstatement." "It is not a part of my authority or responsibility here to make any determination concerning Mr. Rose's eligibility as a candidate for election to the National Baseball hall of Fame. In fact, in my view, the considerations that should drive a decision on whether an individual should be allowed to work in Baseball are not the same as those that should drive a decision on Hall of Fame Eligibility...The issue of whether Mr. Rose should be eligible for Hall of Fame election under the bylaws of that organization presents an entirely different policy determination that is focused on a range of considerations distinct from the more narrow questions before me...Thus, any debate over Mr. Rose's eligibility for the Hall of Fame is one that must take place in a different forum." He's not going to work in baseball again. But there is some chance that he might become eligible for the Hall of Fame. I'm glad that this was made so clear, and I think this is clearly where this conversation should turn. 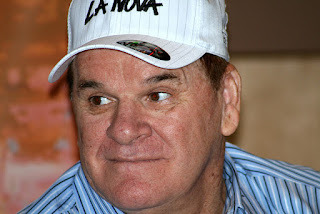 I've made it pretty clear over the years that I'm not a fan of Pete Rose. I think he's pretty shady, at best, and there's a non-zero chance that he's a total scumbag. Nevertheless, if we think of the Hall of Fame as a museum recognizing important moments and figures in Baseball History, I don't think there's any question that Rose deserves induction...or that his fall from baseball deserves to be chronicled and highlighted.